When the alternatives all look equally awful and the way ahead is unclear, making up one's mind can seem impossible. Professor Jonathan Herring explains what to do when there seems no right answer. There is little worse than being plagued by indecision. But the one thing you should not do is duck out of making a choice. If you avoid facing the issue, other people or events will determine what will happen. You need to be in charge of your own destiny. You need to atke the tough decisions. What is the most important thing for you in this issue? Often people get so distracted by all of the different ‘pros’ and ‘cons’ that they lose sight of what they are really concerned about. If you are hiring a CFO and your number one criterion is that it they have industry experience, keep that at the heart of your decision or else you will end with someone that may tick lots of boxes, but leaves you with skills gap in the finance team - the very thing you were trying to avoid. Use a decision-making model. Write down the key benefits and disadvantages and try and rank them. It is interesting how often, when you write down the key issues involved or explain your dilemma to a friend the answer becomes clear. In the very stating of the problem the solution emerges. If you are finding a decision hard to take, that may well be because there is no right answer. All the options have downsides and there is no getting away from that. In the real world there are rarely options that are risk-free and guaranteed successes. Be realistic. You might like to change the world, but, assuming you cannot, you must make your decisions using the information you have to hand. As long as think through the options and use rational grounds for making a decision, you have done the best you can. 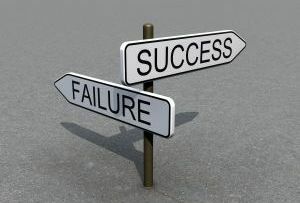 Sometimes a decision is difficult because you know what you need to do, but doing it is inconvenient or challenging. At this point you have to ask yourself what kind of person you want to be. Do you want to take the easy route, and let someone - or yourself - down. Or it is worth the hard slog to do the right thing? Set out precisely how you are going to put your decision into practice. Produce a time table, including rewards if you keep to it. Having made an excellent decision you want to make sure you carry it through. Jonathan Herring is Professor of Law at Exeter College, University of Oxford and author of How to Decide: What to do if you don’t know what to do.